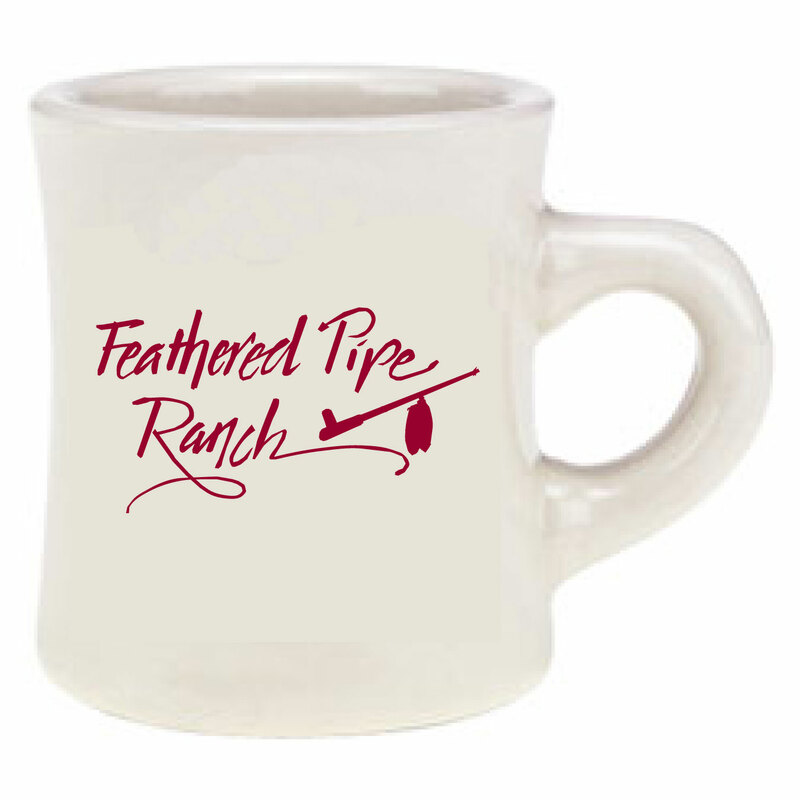 Drink your tea (coffee or other favorite beverage) out of this sturdy mug as dream of a lovely, endless summer day in the heart of the Rocky Mountains at the Feathered Pipe Ranch. The mug is India Supera's favorite ceramic weight from which to drink tea and is the same style we have used for many of our 40 years at the Feathered Pipe. 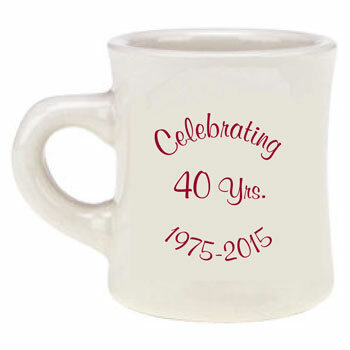 Feathered Pipe Ranch Celebrating 40 years 1975-2015 commemorative mug. 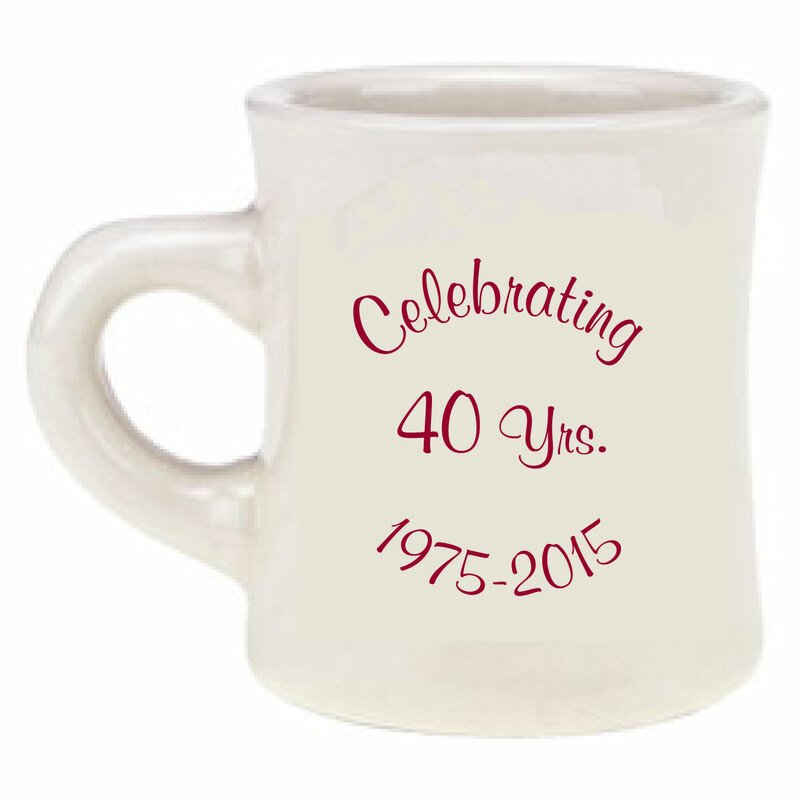 Heavy duty cream color mug with maroon print. Gentle and light adjustable feather bracelet. The feather assists you in finding direction and guidance. It adjusts from 6.75 to 7.5 inches. This is the gold-tone version that has a sterling silver base lightly plated with gold. The gold wash can rub off over time with exposure to moisture and sweat, leaving it silver in color. Yum, yum, yum, and also so good for you. This oldie, but serious goodie, was published in 1992, back when you had to order a gazillion million trillion copies of any item you wanted to print. 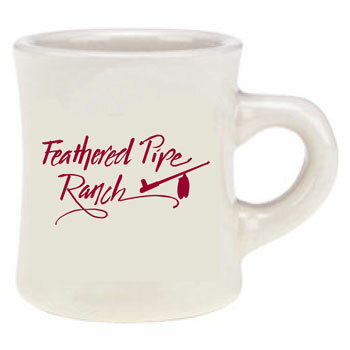 The Recipes of the Feathered Pipe Ranch are still better than ever. Using fresh and natural ingredients as a base, anyone can cook with these simple and tasty recipes guaranteed to bring you and your body contentment and health.